Coincidentally, I found this in my junk drawer before starting my lessons. My kids laughed when I told them I would be taking swimming lessons too…and that “Miss Debbie” would be my instructor! When I was approaching my 40th birthday I started to hear the term “bucket list” a lot. I actually don’t like the term. It seems to imply that I am only doing these things because death is imminent. However, I recently signed up for swimming lessons and I fear that’s what it will be perceived as – a “to do” on my bucket list. Regardless of the reason, I signed up and I am proud…and extremely excited to be on my third lesson. It has been a genuinely eye-opening experience. I don’t think I can adequately express how surprised I was that… I can actually swim! Of course, I probably don’t have the perfect stroke. And, I need to work on my breathing. Nevertheless, I was able to swim the length of the pool. For 39 years I was afraid to put my face into the water and open my eyes. 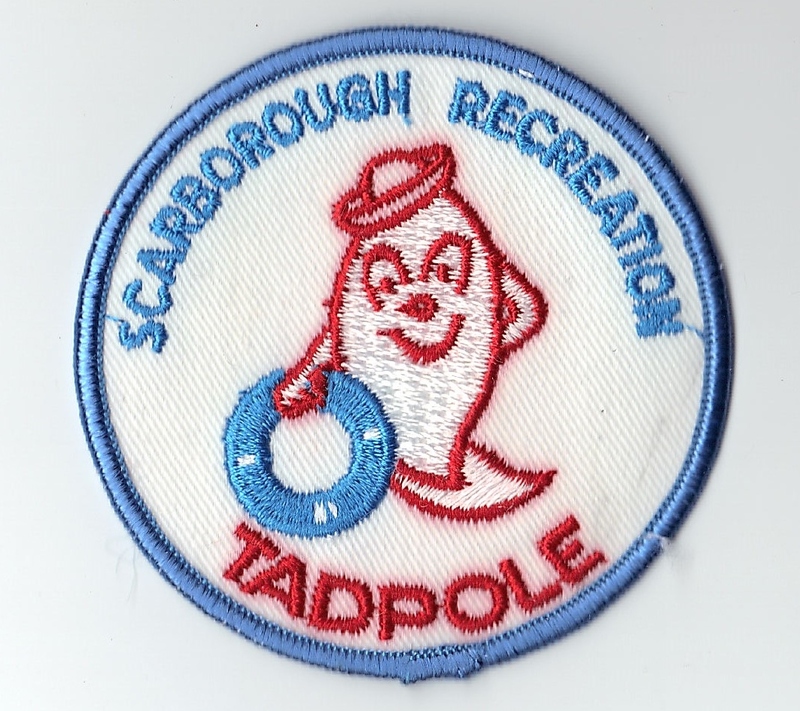 (Background: I got my “Tadpole” badge in 1985. So I knew how to float and tread water. And after years of simply “playing” in the water, I figured out how to do the basic stroke, but never with my face in the water.) And, after the instructor gave me a simple explanation about buoyancy, I realized that there is really no danger in going into the deep end. Hahaha…this must all seem amusing to the seasoned swimmers out there, however, the fear is real. And, when you start telling your children (in a voice of authority), “You don’t know if you dislike (or can’t do) something, if you don’t try,” you realize that you have to face your own fears. So, in the end it doesn’t really matter why I signed up…what matters is that I did it. And what did that 40-year old woman find? I think this is a amazing! Good for you!! Thanks very much…for reading my post and for the uplifting comment! Thanks for reading and commenting Miss D! Wonderful!! You should be really proud of yourself! Thank you Shazni! So glad you enjoyed it. Thanks for reading.